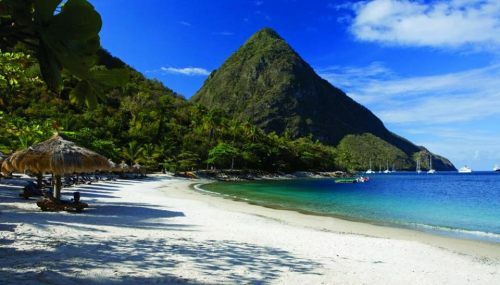 Air Transat has dropped the price of one of their non-stop flights from Toronto to the Caribbean island of Saint Lucia in February 2018 down to $374 CAD roundtrip including taxes. Update @ 11:00 AM EST - Looks like they are now $464. toronto, yyz, caribbean, eastern caribbean, flight deals, air transat, southern caribbean, saint lucia, uvf, windward islands, lesser antilles, st lucia and hewanorra.